Our Tea Journey to South Korea, 2014. Learn about who makes our Korean black and green teas from Jukro Tea. 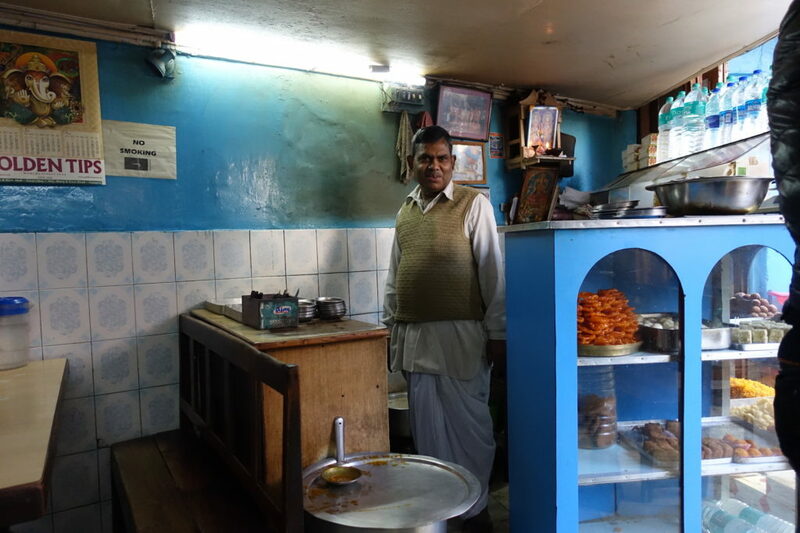 Learn more about our tea journeys. We aim to be as environmentally conscious in our day-to-day business dealings as possible. We shop two times per week for groceries from local purveyors. This affords little to no waste and we can adjust as necessary depending on the season and needs of the tearoom. We compost everything we can. Ellen has been a lifetime recycler, so she knows the value of Reduce-Reuse-Recycle -and compost! Garbage to Garden is our partner in this effort. And we now use compostable napkins and stainless steel bubble tea straws! 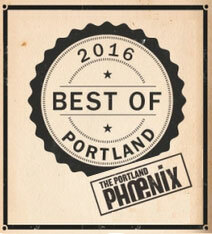 We keep it local. Our suppliers are local and we aim to keep the trips to the grocery stores and that of our bakers to a minimum. Granted, tea (Camellia sinensis) comes from the other side of the planet, but we aim to buy our herbals, seaweed and mushroom teas as locally as much as possible. We support Bicycle Benefits and other non-profit organizations that support the environment through donations and promotion. We keep our paper use to a minimum. You’ll notice we don’t offer “To Go” menus as we do not want the extra waste. Nor do we offer food to go in containers. But you can bring your own container any time and we’ll gladly put a hummus plate in it. 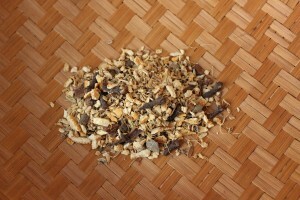 We evaluate tea drinks and products and aim to serve only those that tread lightly on our bodies and the planet. We offer organic food ingredients as much as possible. We strive to buy organic whether it be carrots or soy milk. All in the name of treading lightly on the planet! Born in New York, Molly Tucker is an ecological artist and amateur geologist currently residing in Portland, Maine. She is set to receive her BFA in photography from Maine College of Art in 2019. Growing up at the “foothills” of the Adirondack Park has influenced a large portion of Tucker’s life. In particular, the bare bedrock of “The Brothers” on Big Slide mountain is where Tucker’s admiration for physical geology is rooted. “The Brothers” provided her ground to photograph, speculate and uncover the complexities of minerals that lay dormant beneath her. The expansion of Tucker’s geological collection has allowed her to examine over 100 individual specimen and unearth an infatuation to study our interdependent relationship with rocks. Combining her deep passion for geology and environmental issues, such as climate change and pollution, Tucker explores the tactility of cameraless photograms created in the landscape under direct sunlight on silver gelatin paper. 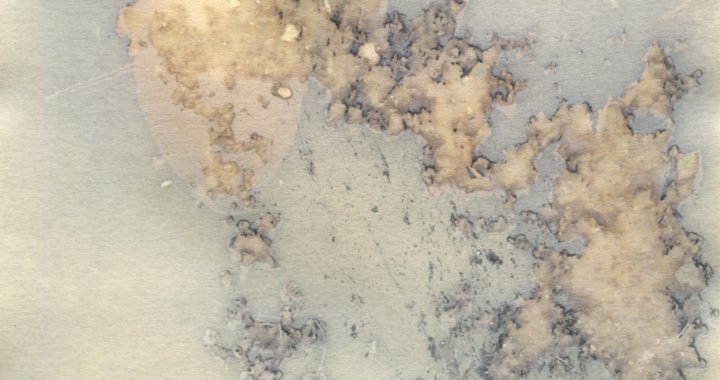 As the photographic medium utilizes minerals and ores from the Earth, she embraces this cyclic nature of mining for silvers in the paper and changing their chemical composition once submerged into different toning baths. This process of mining for silvers has resonated deeply with Tucker as a conversation between her photography work and field investigations of geological & chemical changes to the environment. Primarily operating through alternative processes and cameraless photography, Tucker’s practice also includes lens based photography and post-photographic digital treatment of images. Situated in the lap of lofty Himalaya, Mission Hill Tea Estate is spread over a sprawling 951 acres of land. Mission Hill is surrounded by forest, agile mountain streams and snow-capped mountain peaks. 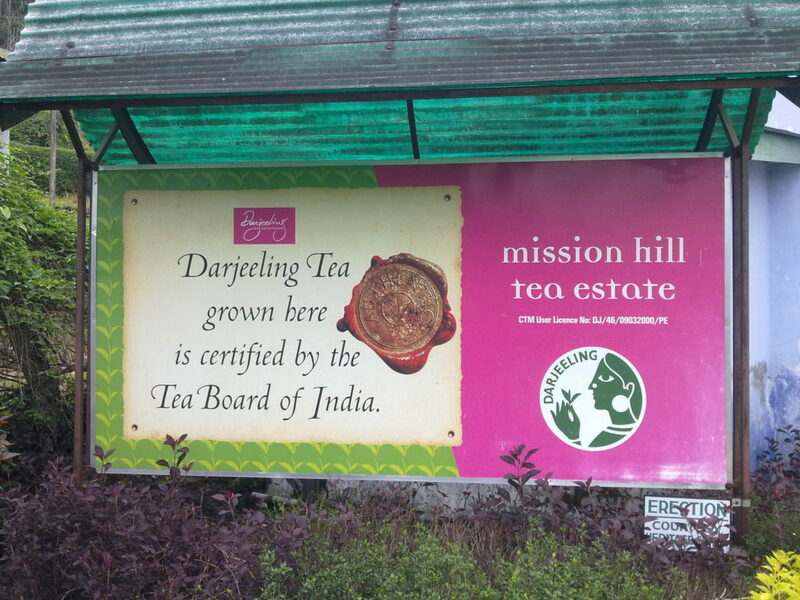 The estate has been producing very high quality teas, rich with the flavors of traditional Darjeeling. The history of the estate dates back to the days of the British Raj in early 1900s. The Survey & Settlement Reports of C. A. Bell, ICS 1901-1903 & H.C.V. Philpot 1919-1921, indicate that the estate was formally granted between 1903 and 1919. “Mission Hill” probably got its name from the early Scottish Missionaries who had a mission in the area. 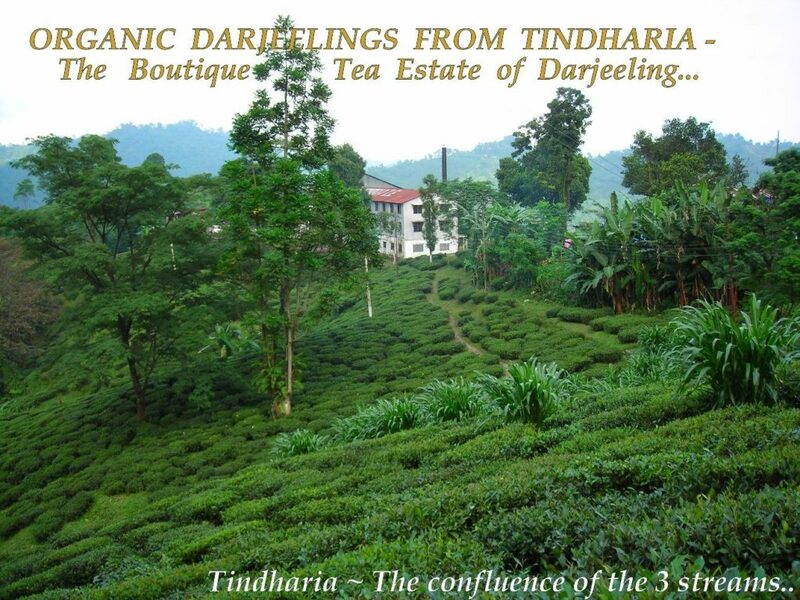 The name “Tindharia” means the “place of three mountain ridges” and the estate is located at the confluence of the three mountain streams in the South Kurseong dstrict of Darjeeling. It is a small, boutique bio-organic tea estate which pays detailed attention to all of its tea production. The estate starts at an elevation of 400 meters, and extends up to 1,000 meters. Thirty-five percent of the plantation is under China bushes, 10% is AV-2 clonal bushes, 25% hybrids, and 30% Assam bushes. Tindharia is certified organic by Control Union for USDA, EU, and JAS. It is also certified FLO Fairtrade. The estate considers its workers to be its prime asset and maintains harmony and excellent relations with the workers and the community while developing the infrastructure. Curious how to properly brew green tea? Wondering why your home-brewed green tea always tastes bitter? Unfortunately, we’ve been reduced to thinking green tea tastes awful and is always bitter. There’s a better way to brew it — no bags, only whole leaves for the best tasting brew! Here’s the rundown to get you to better-tasting green tea, and the health benefits associated with it. When it comes to brewing any tea, it’s all about tea, time and temperature! Get yourself some good, whole leaf green tea. We sell green teas from Japan, Korea, China and Vietnam. We’ve found that several of these are excellent chilled. 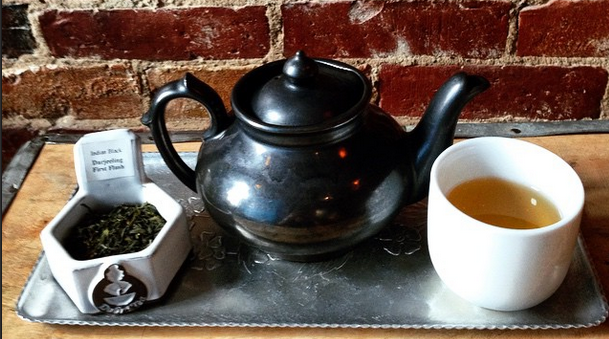 Try our Che Xanh or Sencha chilled for a refreshing, light alternative. Per 1 quart container, add 4 heaping tablespoons of whole leaf green tea. Use filtered, cold water. Steep for 2 hours in the refrigerator. I’ve steeped longer (overnight!) by accident and it still comes out fine, just stronger in flavor. Strain brew into another container. 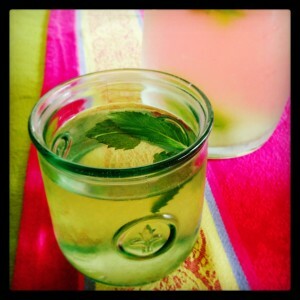 Add fresh garden mint leaves or a lemon slices if you like. 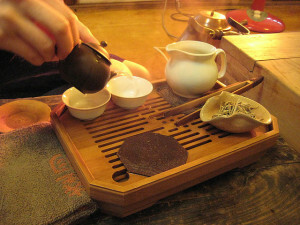 Remember it’s all about the type of tea, temperature, and not over steeping – tea, time and temperature. Boil water in pot on stove (no microwave!) And it needs to boil before it’s usable. Let it cool in Pyrex pitcher or mug for 5 mins. 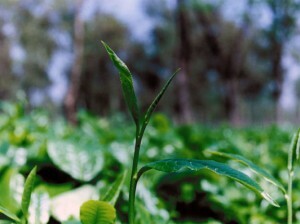 Green teas vary and are usually between 60 – 85ºC/140ºF-185ºF. We put specific brew temperature and time for each tea on the bags when you buy them. Using a strainer, pour tea out of mug into other mug, straining out the leaves. Don’t let the leaves sit in water after brewing/straining, otherwise you’ll have bitter tea. Brew a second and third cup by steeping the same leaves, for up to 2 minutes. Keep the sweeteners away – when you get accustomed to the taste of green tea in its natural, healthy, un-adulterated state, you’ll wonder why you did add sweetener previously! Save the cooled, damp green tea leaves to use on your eyelids to reduce wrinkles. The following is research and compiled reports on the benefits of green tea. Drink up! 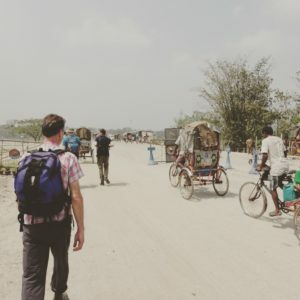 Read more on our journey and see photos. Stay tuned for upcoming events and presentations. A video from our Nok Cha supplier and producer, Cho Yun Seok, of Jukro Tea Company. Great care is taken to create this fine tea, which is has several organic certifications including USDA Certified Organic. (1 ounce of masala spices and 1 ounce of Assam CTC makes approximately 12, 8 ounce cups of chai & a Box of Masala (which contains 1.75 ounces of Assam CTC and 1.75 ounces of Masala spices in separate packets) makes approximately 20 cups). Turn down to medium simmer for 10 minutes, stirring occasionally, then . . . Adjust the amount of masala spices and sugar to your taste on your next attempt. The level of spices and sugar in this recipe are moderate. Note: If you make chaga chai (as a substitute for Assam CTC, Rooibos, or Tulsi), you should boil the chaga for 30 minutes. In this case, combine the chaga along with the masala spices at a medium simmer for 30 minutes. And since chaga is so strong, use 3 teaspoons with 3 cups of water instead of 4 teaspoons. You might also need to add a bit more water at the end of the 30 minutes as some of the water will have evaporated during the extended boiling time. Instead of getting a prescription for your stress, consider trying a natural and sacred plant: holy basil. 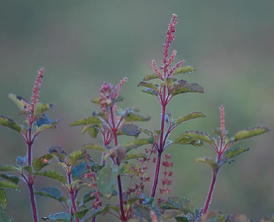 Also called tulsi, holy basil (Ocimum sanctum) is a sacred plant in India with strong, clove-like aroma and taste. It demonstrates a lack of toxicity and a variety of benefits, including reducing inflammation, protecting the body and brain from harmful effects of stress, and exerting a positive influence on mood. It is safe to use with pharmaceutical antidepressants. Dr. Weil’s colleague Jim Nicolai, M.D., medical director of the Integrative Wellness Program at Miraval Resort and Spa in Tucson, has had great success with holy basil. For his patients with stress-related conditions, holy basil is at the top of his list of plant-based therapies. Use extracts standardized to two percent ursolic acid in 400 mg capsules. Dosage is two capsules, once or twice daily with food.